When you start learning Japanese you learn the hiragana and katakana along with vocabulary and grammar, but if you’re teaching yourself you won’t often get much reading practice to combine all those skills together in a useful way. So how do you practice? It’s good to start reading soon! It not only allows you to practice your vocabulary and grammar but also your understanding of Japanese sentences. This is particularly important at the higher levels where 80% of what you’re exposed to will depend on your comprehension of the language. 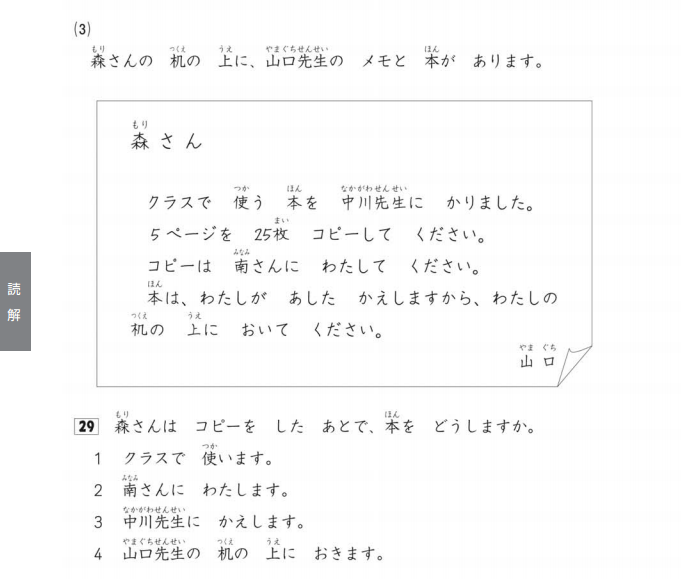 The following are suggestions for beginner JLPT N5/N4 level learners. I’ve said this many times before but it’s generally good form when you start reading something in Japanese to read it out loud (just like when you were little learning English). This will help with your comprehension as your brain works harder to be able to understand what it’s just read, whereas reading in your head can cause your brain to be lazy and start skim reading. If there are any words you don’t understand write them down and look them up. Then read through the section again out loud. This is important as you have now looked up the words you didn’t know and it will help your brain remember them. If you have the time put them into a flash card program like memrise and learn them and review them, this will make later readings on the same topic easier. Not only that but reading the same passage over and over out loud will help your reading speed (try to time yourself and improve on this time) and comprehension (the more you go over a section the more your brain will understand). These techniques apply to all the following resources. 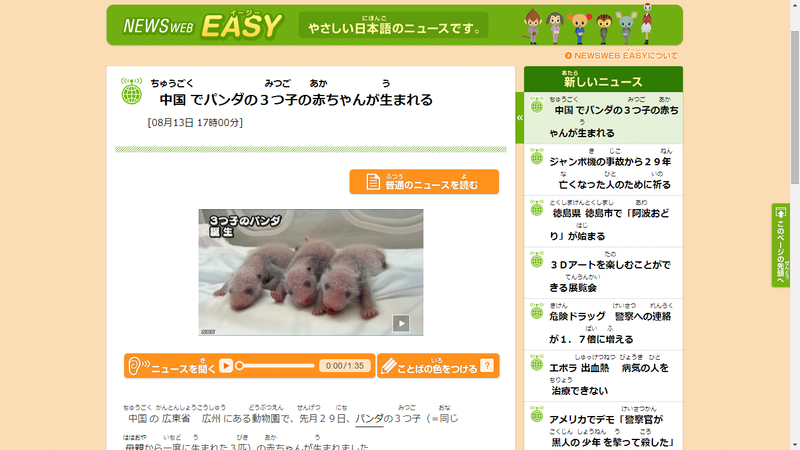 NHK News Web EASY – A brilliant site someone recently directed me towards. All articles are short with the furigana (small text above the kanji to show you how to read it), and sound/videos which acompany the text. It also has certain words highlighted which you can see the definition for in Japanese, further improving your Japanese understanding as you learn to recognise words through similar Japanese words and phrases. I recommended using these even if you don’t intend on taking the Japanese Language Proficiency Tests (JLPTs) as they’re designed to be for beginner levels. There is such a thing as light novels for beginners, these are normally books written for Japanese elementary school students. These are a bit harder to get hold of outside of Japan though because they are physical books rather than online resources. One great series is Aoi Tori Bunko by Kodansha (Blue Bird Books, distinct because of the blue bird design on the covers/spine) which if you go to any book shop in Japan you can find (or if you have a friend in Japan you can get them to send one back). Otherwise there are some Japanese stores in the UK and US that will sell these books. Unfortunately I haven’t found any good resources online that will sell a variety of these books. The reason I suggest avoiding manga is not because of the vocabulary, in fact manga normally has furigana which makes it easy to read, but the grammar is a higher N3 level, making it hard for beginners to understand. This is because when people start learning Japanese they will use the polite form, but manga is written in informal/colloquial Japanese which requires a higher level of understanding. But if you really, really want to read manga then it can be a good challenge. 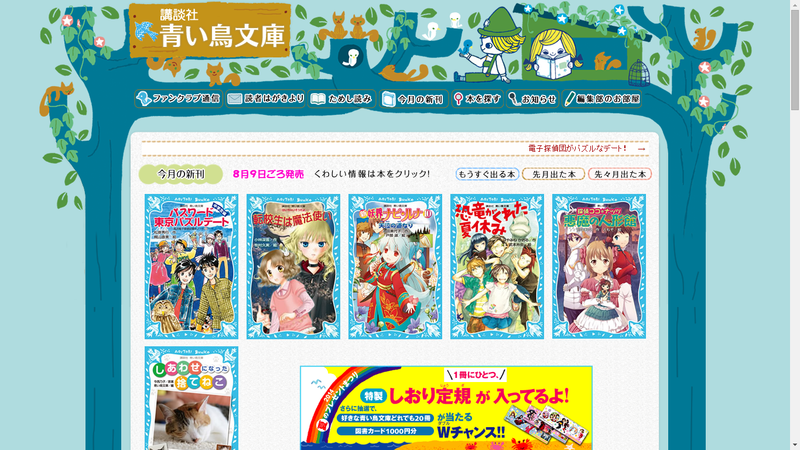 Here’s some advice on Manga Japanese for Beginners. If you have any other suggestions please let me know! Especially if you’ve found anywhere online to buy light novels with furigana! Tagged Beginner Japanese, Reading Japanese.